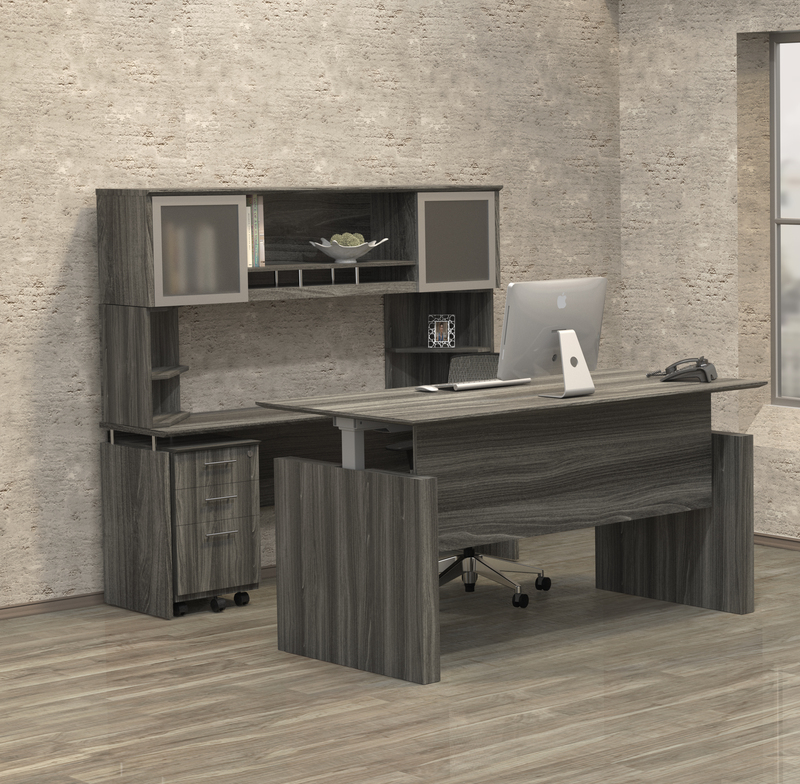 This coastal gray U shaped executive office desk with silver modesty panel and glass accented hutch doors is perfect for upscale remodeling projects. 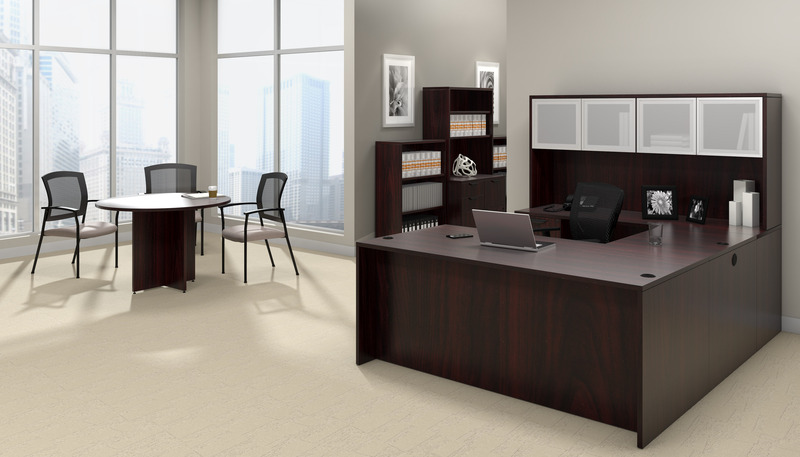 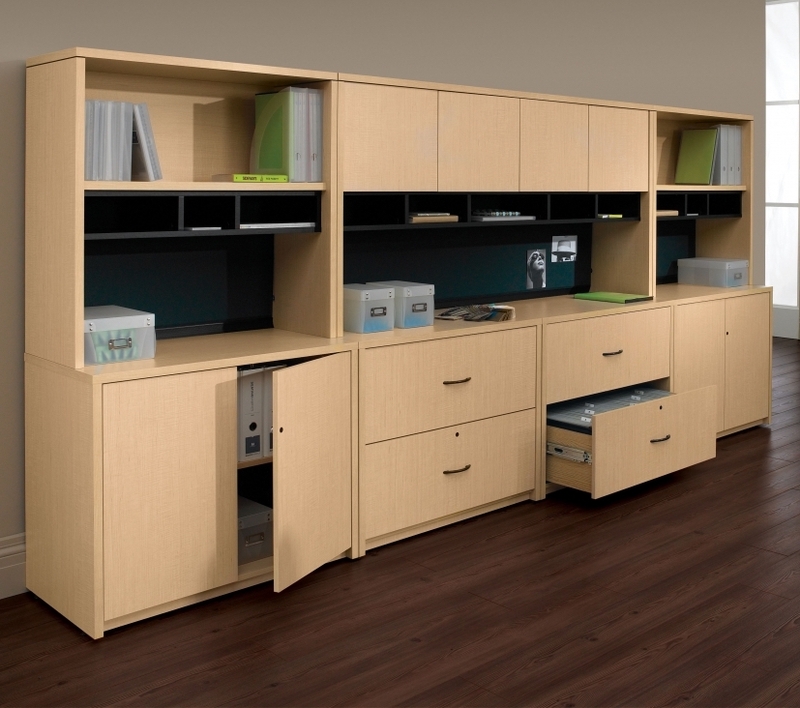 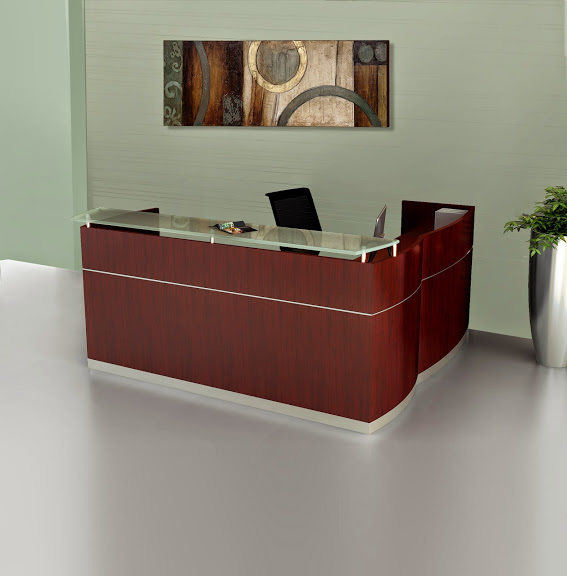 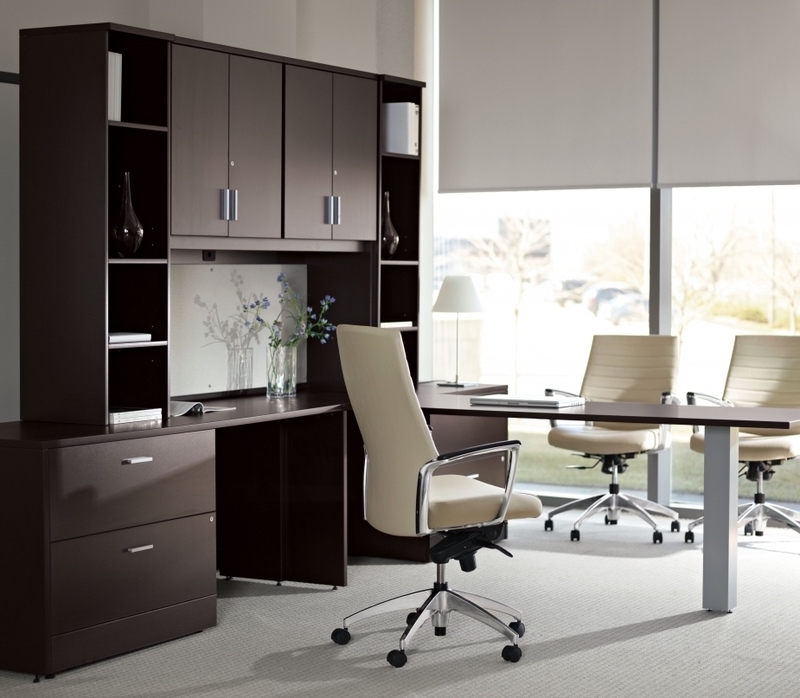 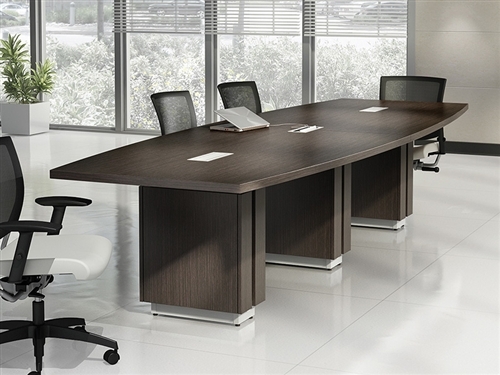 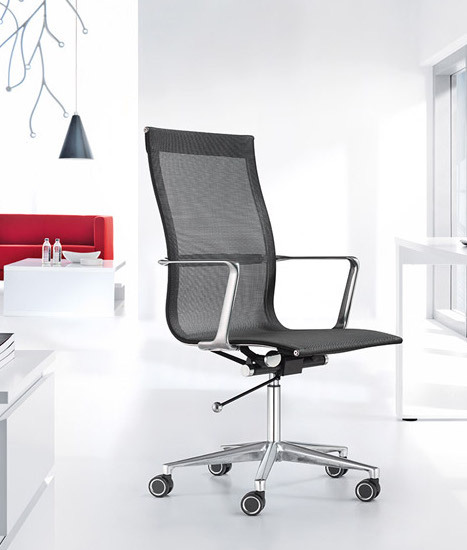 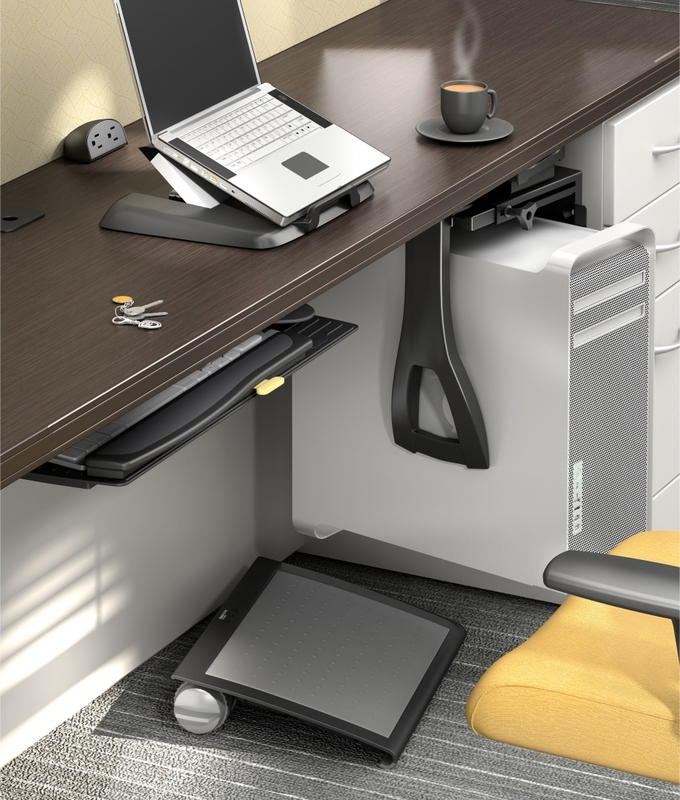 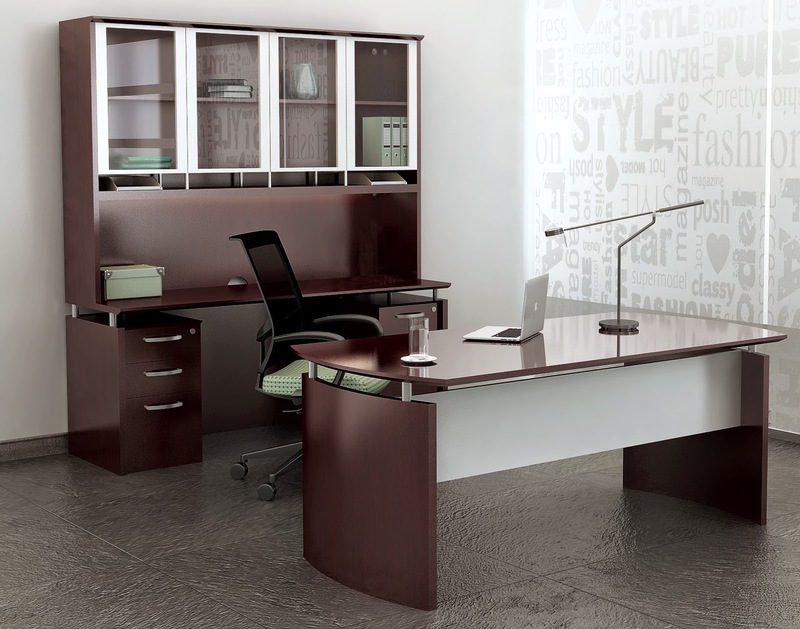 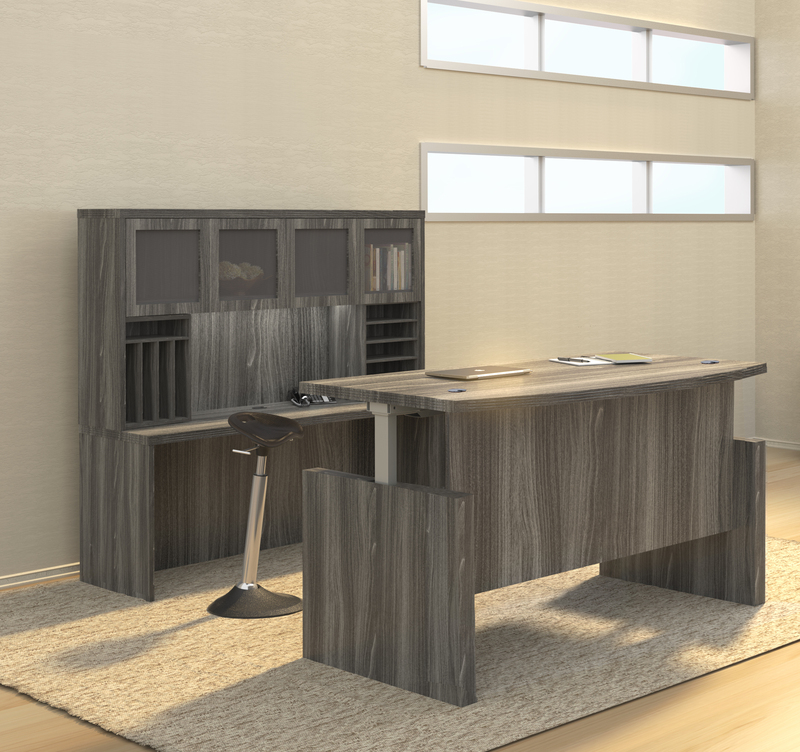 The MNT33 model Mayline Medina office furniture set includes a 63" wide front desk with center drawer, along with a left handed bridge that connects to the rear wall credenza. 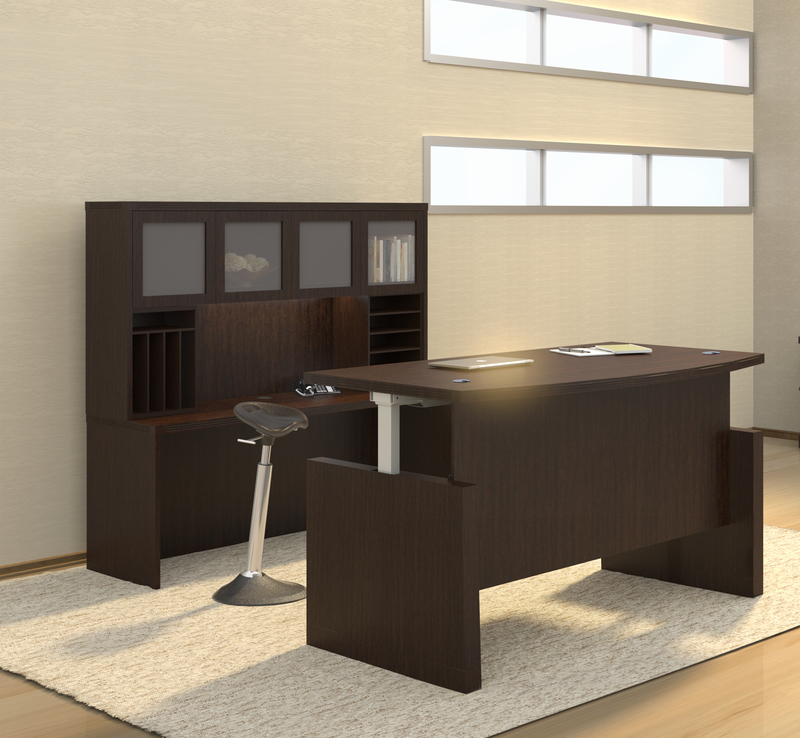 With plenty of operating space and modern appeal to spare, this luxurious executive furniture configuration is an absolute winner.